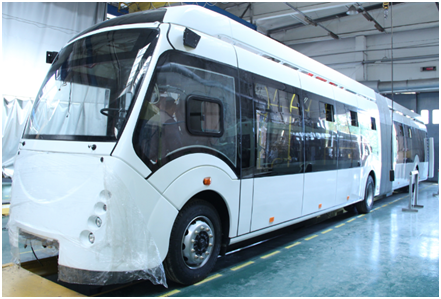 In order to develop the automotive industry quickly and cope with the increasingly serious passenger overload phenomenon, meanwhile meeting the environmental, energy saving and safety requirements, Belarus is gradually developing the production and use of articulated bus. 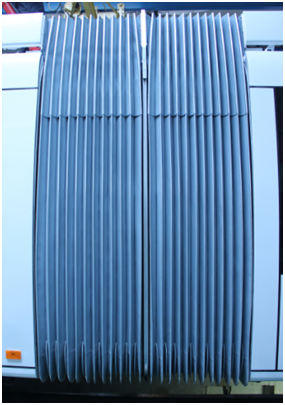 They have undergone an extensive inspection, as well as for the high load capacity and weather resistance requirements of articulated products, they finally ordered JVS articulated system and folding bellows. Recently, JVS dispatched its after sales service engineers to Belarusian OEM factory to provide technical support. JVS not only makes the design, R&D and production of articulation system, but also masters the articulated bus vehicle technology. So this time, except for the articulation system installation guide, JVS engineers also gave the training about the articulated bus vehicle technology for OEM technical staff , hoping to help improve the production capacity for articulated bus. According to Belarus slippery road conditions under the extreme cold climate, JVS technical engineers also gave the training about the articulation system maintenance for the relevant users and technical staff. 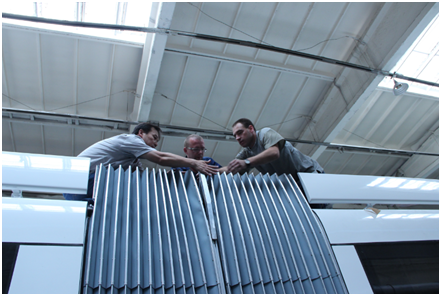 JVS always insists the "Devoted, Full Range, Global Service" service concept, sincerely serves every user.